Mirabelle's organic facial mask packs keep your skin radiant and glowing! 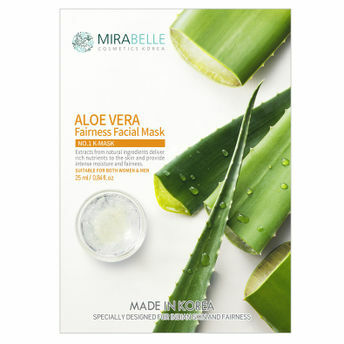 Mirabelle Fairness Facial Mask with Aloe Vera Extracts rejuvenates your skin and is specially formulated for Indian skin. It delivers rich nutrients to the skin and provides intense moisture and fairness. It balances oil and water in your skin and helps moisturize and soothe sensitive skin.